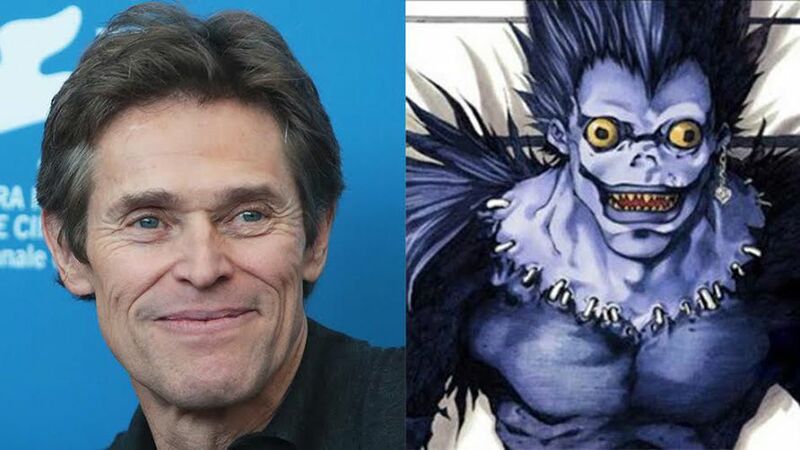 According to a report from Mashable, Ryuk the Shinigami will be voiced by Willem Dafoe! The notable actor has signed on to provide the voice the otherworldly creature in Adam Wingard’s upcoming Death Note film. Ryuk is a Shinigami that created the titular book and follows main character, Light Turner as he uses the book. Shinigami follow other people with other Death Notes as well but none use the book like Light which intrigues Ryuk. The movie is based on the famous Japanese manga written by Tsugumi Ohba and Takeshi Obata. There is also a popular anime series based on the manga. The manga follows a high school student who comes across a supernatural notebook, realizing it holds within it a great power; if the owner inscribes someone’s name into it while picturing their face, he or she will die. Intoxicated with his new godlike abilities, the young man begins to kill those he deems unworthy of life. Death Note is currently in production stars Nat Wolff (Paper Towns, The Fault in Our Stars) as Light Turner; Margaret Qualley (The Nice Guys, The Leftovers) as Mia Sutton; Keith Stanfield (Straight Outta Compton, Dope, Short Term 12) as “L”; Paul Nakauchi (Alpha and Omega) as Watari; and Shea Whigham (Agent Carter, Boardwalk Empire) as James Turner. The movie will premiere globally on Netflix in 2017.